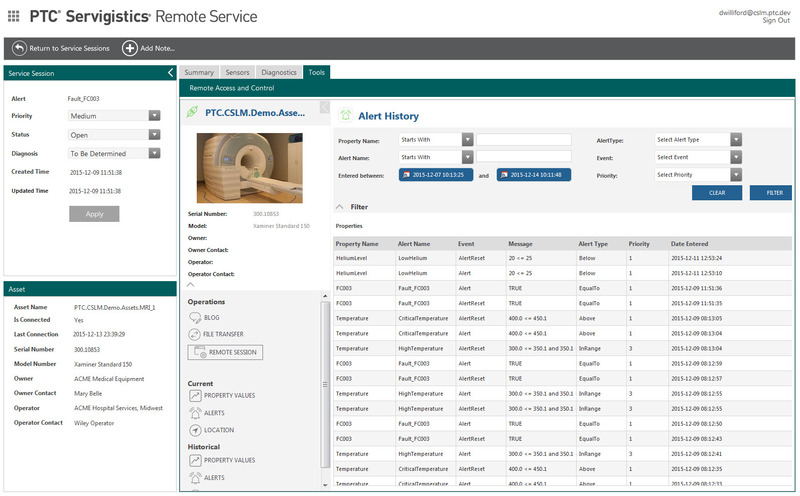 PTC Servigistics Remote Service version 1.0 is now available for download. This is the first release of the Remote Service application. 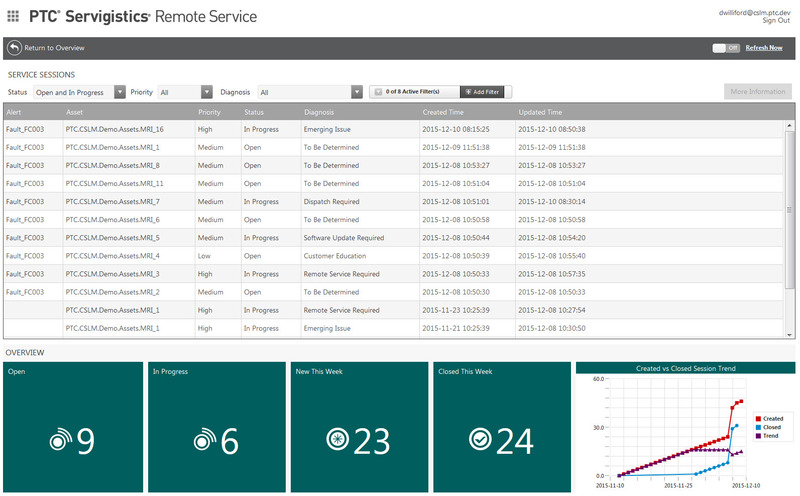 PTC Servigistics Remote Service is a Connected Service application built on the ThingWorx platform that allows for companies to view, track and update service sessions for their connected devices. Companies can configure business process flows to automatically monitor alerts from connected devices in the field and create service sessions based on targeted alerts. Service professionals responsible for the connected devices are able to view and update the service sessions to diagnose and resolve potential issues. Tools such as Remote Access and Control, Software Content Management and (optionally) Connected Diagnostics are available to allow service professionals to triage and resolve conditions on connected devices from remote locations. Remote Service requires the PTC Servigistics Extensions for ThingWorx version 6.5.3 (included when downloading the Remote Service extension). The software is available for download from the PTC Software Download page under "Order or Download Software Updates”. The software is located under the "Servigistics Remote Service" product family. Navigate to Release 1.0 and look under the “Most Recent Datecode” section.